A new study found that similarities between the DNA of modern people and Neanderthals are more likely to have arisen from shared ancestry than interbreeding. That is according to research carried out at the University of Cambridge and published this week in PNAS journal. Previously, it had been suggested that shared parts of the genomes of these two populations were the result of interbreeding. However, the newly published research proposes a different explanation. The origin of modern humans is a hotly debated topic; four main theories have arisen to describe the evolution of Homo sapiens. All argue for an African origin, but an important distinction in these competing theories is whether or not interbreeding – or “hybridization” – between modern and ancient humans has occurred. In the current study, Cambridge evolutionary biologists Dr. Anders Eriksson and Dr. Andrea Manica used computer simulations to reassess the strength of evidence supporting hybridization events. They argue that the amount of DNA shared between modern Eurasian humans and Neanderthals – estimated at between 1-4% – can be explained if both arose from a geographically isolated population, most likely in North Africa, which shared a common ancestor around 300-350 thousand years ago. When modern humans expanded out of Africa, around 60-70,000 years ago, they took that genetic similarity with them. By contrast, previous ancient DNA studies of Neanderthal remains have shown that their genomes harbor genetic signatures – polymorphisms – that are also seen in the genomes of modern Europeans, East Asians and Oceanians (from Papua New Guinea) but not in modern African populations. The findings challenged previously held views – based on several lines of evidence – that modern humans had replaced the Neanderthals with little or no gene flow occurring between the two groups. 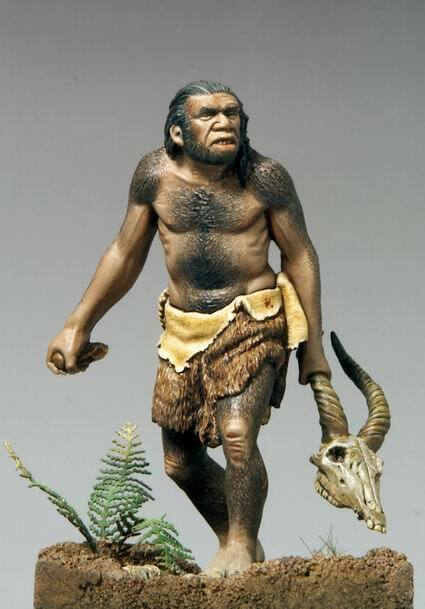 The observations from the Neanderthal genome led some evolutionary biologists to argue that this genetic similarity had arisen through hybridization between Neanderthals – already resident in Europe and western Asia – and the ancestors of present-day non-Africans. Prof. David Reich, from Harvard University in Cambridge, US – an exponent of the hybridization theory – is not convinced that the data represents a powerful argument against interbreeding. By using methods that are able to differentiate between genetic similarity caused by gene flow via hybridization vs. shared ancestry, he argues that “the patterns observed [in our analyses] are exactly what one would expect from recent gene flow” – a view shared by his collaborator Professor Svante Paabo from the Max Planck Institute for Evolutionary Anthropology in Leipzig, Germany. Prof. David Reich went on to say that their data shows that Neanderthals and non-Africans last exchanged genetic material 47-65,000 years ago.